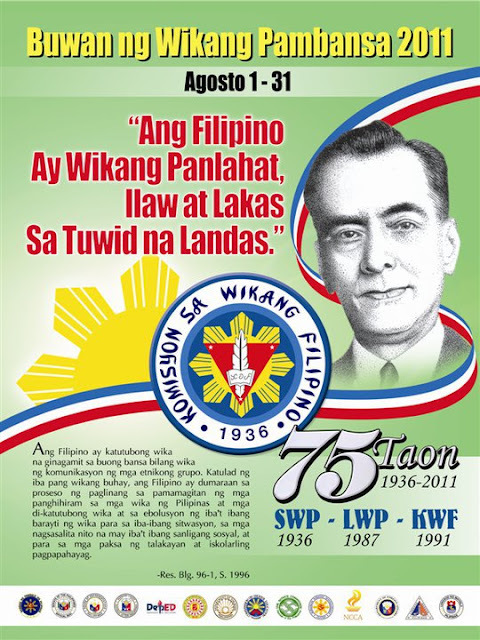 The Department of Education (DepEd) last year's theme for Buwan ng Wikang Pambansa had focused on the promotion of the national language and environmental protection. Buwan ng Wikang Pambansa is celebrated during the month of August per the provision of Presidential Decree 1041, series of 1997, as declared by former President Fidel Ramos. d. motivate the Filipinos to participate in the essay writing contest in Filipino language. f. hold the language conference with the purpose of updating the knowledge and language issues.